Today’s market might favor sellers, but buyers can still come away winners too. First of all, interest rates are at a historical low. Most homebuyers who qualify for a loan can lock in rates between 2-4 percent. For reference, mortgage interest rates were more than double that in 2007. Now is a great time to buy a home, or refinance your current home mortgage. Taking the time to figure out how much house you can afford is very important. You don’t want to go see several homes you fall in love with, only to find out they are way out of your price range. This will only leave you drained and upset. Instead, do that math. If you’re renting, how much are you spending on your current place, and if it’s affordable, how much more can you comfortably spend per month to put towards a mortgage? Also, take the time set your home search criteria . . . how many bedrooms, bathrooms, garage do you need, what school districts do you want to be in, what home characteristics do you want to rule out, etc.. Stick to your budget and home search criteria and you’ll have a great start. In a seller’s market you don’t have time to waste seeing homes that don’t fit your wants and needs. Things go fast, and you could miss out on your dream home by not being prepared. In this market it is UBER important to speak with a few lenders and shop around for mortgage interest rates. Go with the best overall deal and with a lender you feel you can trust. She or he is a very big part of whether or not your offer will be accepted, and how smoothly funding and closing goes. Make sure to ask for a formal pre-approval letter that doesn’t use the verbiage “pending on . . .” You want a pre-approval letter that’s robust and will give you the best chance at appearing like the strongest buyer in a sea of offers. Working with a real estate agent is good, but working with a great agent who will be there anytime you have a questions and who will fight hard for you to get the best deal is even better. Your real estate agent should be dedicated to ensuring the homebuying process goes as smoothly as possible, and should be able to advise you and explain the entire process to you. You want to be able to rely on him or her for quality referrals for things like lenders, roofing companies, inspectors, and more. Your realtor’s job is to be a lifeline for you through the process. If your agent can’t do that with a good head on their shoulders, find a new one stat. Before you decide where to buy, get sneaky . . . now don’t go spying on neighbors late at night, but take a drive or walk through the areas you like several times and at different times of day and night. Try and divulge what everyday life is really like there. You may love a house that seems to be on a quaint little street when you visit at 11 a.m. on a Sunday, but if you visit again Monday at 5:30 you may find that street is a madhouse! If you think you’re ready to buy a house, then you have to be ready to make a decision quickly. There is little time for buyers remorse in this market, and often times this can get you in legal and financial trouble. This is why all the prep work above is so important! Lastly, be prepared to make a strong offer on a house you really love. You may make an offer you think is acceptable, only to find out three other buyers came in stronger . . . this can often lead to a bidding war. The key to making a strong offer comes down to knowing your limits (the very most you are willing to pay for this home), having a good pre-approval letter, and working with a fantastic agent who will work diligently and strategically with you. 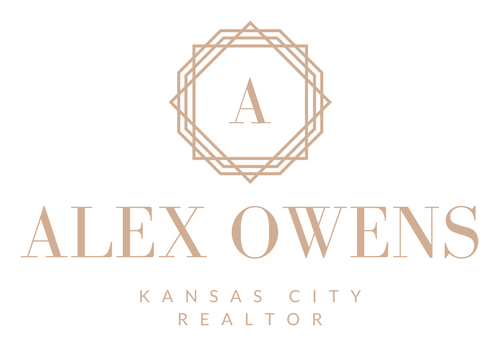 Your realtor should advise you on your options, tell you what she thinks is best, but also encourage you to seek professional advice if it is outside her area of expertise. So, to summarize, buyers can still make the most of a seller’s market. All you have to do is do your homework, get pre-approved, find a great real estate agent, and stay calm. Good luck!